Remove the large, sculpted sidepanels and chunky tailpiece and you produce a slimmed-down machine of sorts, but there’s no ignoring the beefy, watercooled 885cc powerplant which remains undeniably in your face. On this 1993 machine the bodywork has been narrowed and shortened as much as possible. 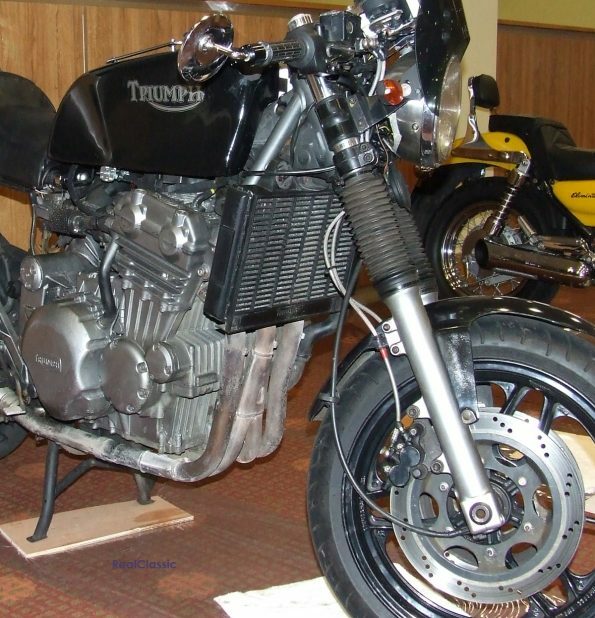 A new slimline rear subframe, combined with new bodywork, references styling aspects of other Triumphs, old and new. 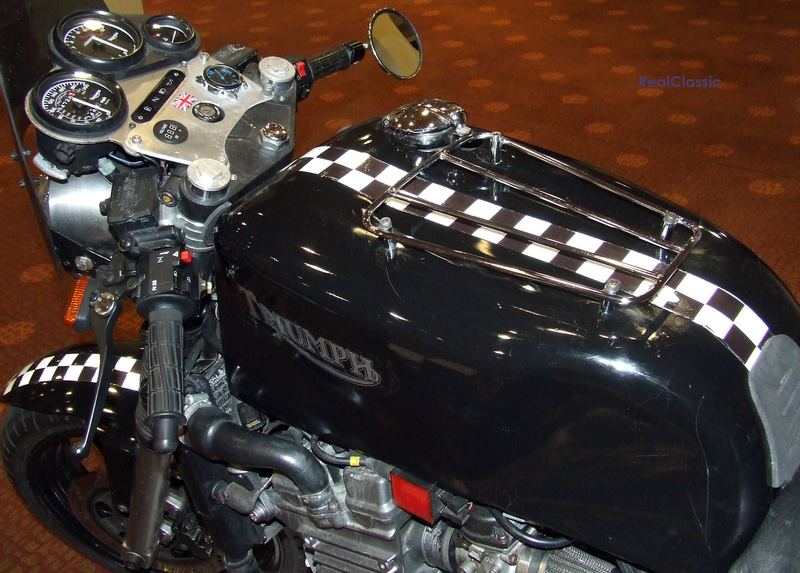 The sleek fibreglass tank cover sports an earlier Triumph toast rack, and the checkerboard midline (sadly now conspicuously absent from modern Thruxtons), is a great finishing touch. Slimmer silencers replace the substantial originals, the indicators are smaller, angular and considerably neater than standard with the tail-light appearing positively miniscule in comparison to Hinckley’s original. 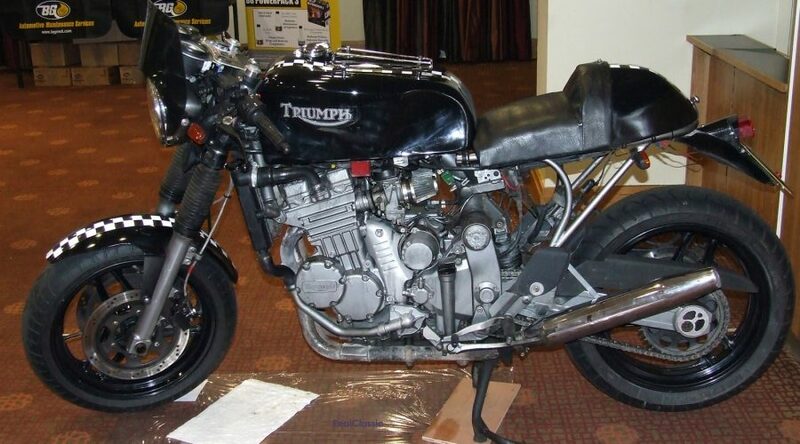 When George bought this Triumph a couple of years back, it’d been stood for nine years since a crash at Cadwell Park. 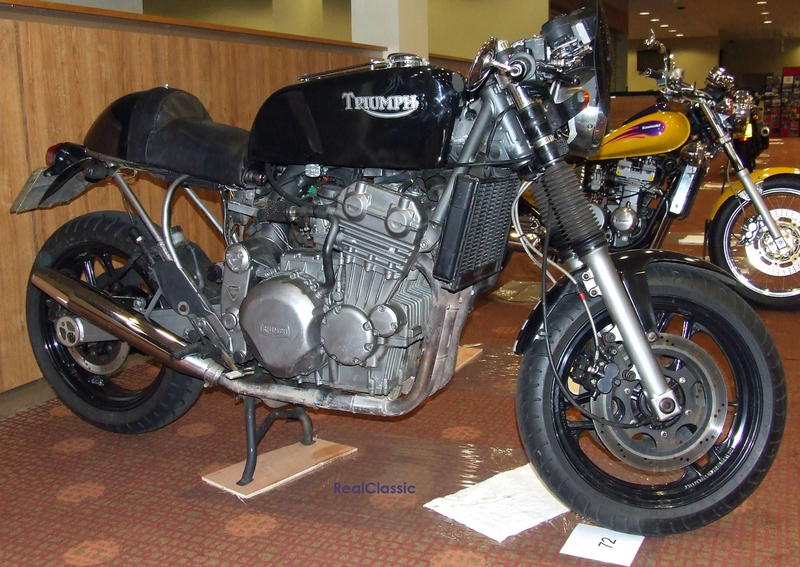 Thankfully the damage was superficial and the bike came complete with new bodywork ready to be fitted but George couldn’t resist the opportunity to turn it into a café racer. Cutting off the rear subframe enabled him to fit a neater new one fabricated by a friend, along with a new petrol tank to keep the profile low. 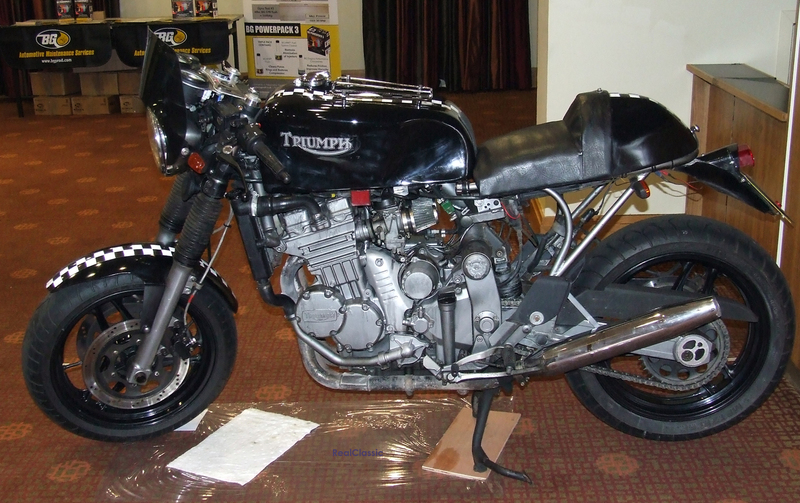 George sculpted a dummy tank cover and seat unit in fibreglass, with a sealed battery fitted flat under the seat. 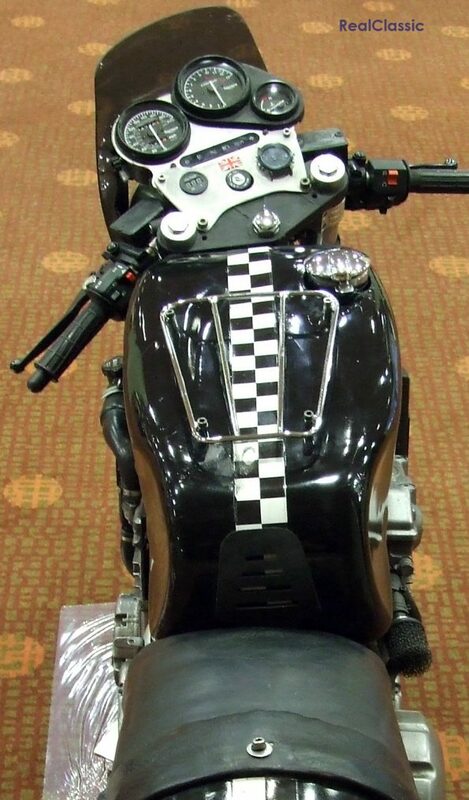 The original front mudguard was trimmed down to give a neater appearance and a pair of Harley silencers obtained for a mere £20 at the annual Haggis autojumble. Clip-on handlebars were fitted, along with a small aftermarket flyscreen which sits atop the stainless steel headlight bowl… which is exactly that; two for £3 from Ikea so George has a good starting point for his next project! Apart from re-jetting the carbs to suit the newly fitted Pod filters, the engine, brakes and suspension have been left as standard. This combined with a new set of tyres ensures the Trident goes and stops just as it should. It handles really well, reminding George of bikes he owned and enjoyed as a boy. With skill, determination and ingenuity George completed his cafe racer on a mere £600 budget which, rather incredibly, included the purchase too.